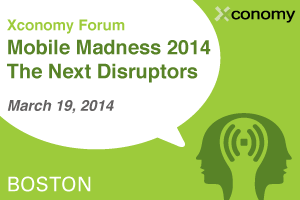 Xconomy: One Month to Mobile Madness on 3/19: Who Are the Next Disruptors? One Month to Mobile Madness on 3/19: Who Are the Next Disruptors? 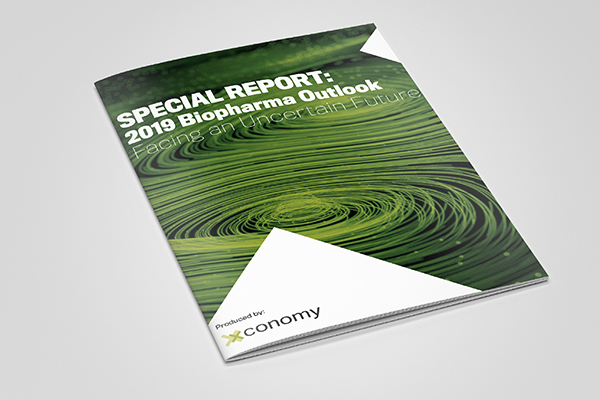 What does the next generation of mobile technology look like? Who will its users be, and what do they want from it? And what does “mobile” even mean anymore? We want answers, and we want them now. OK, soon. Yes, we’re one month away from Xconomy’s sixth annual Mobile Madness conference on Wednesday, March 19. It’s all happening at Microsoft NERD in Kendall Square, Cambridge, MA. We are bringing together an elite group of technologists, business leaders, and mobile users for our signature afternoon of interactive talks, chats, and demos. —David Chang from PayPal will lead a fun panel called “Mobile Through the Ages,” where he’s bringing together high-school kids and very young entrepreneurs to talk about how they use mobile devices and what they expect from the technology. Should be an eye-opening perspective on the real future of mobile. —A special panel called “Boston Mobile Grows Up” will examine the history of New England companies in mobile advertising, software development, and hardware—and where they fit with broader national trends. Jennifer Lum from Adelphic Mobile (and formerly with Quattro Wireless and m-Qube) will be joined by other successful entrepreneurs and investors. —Alan Berrey from Scratch Wireless and Eric Giler from WiTricity will chat about the future of telecom and how to disrupt the wireless carrier model. Definitely of interest if you’re wondering how not to keep paying $85 a month for wireless service. —Matt Douglas from Punchbowl will rant about how he hates the word “mobile.” Can’t wait. —Emad Isaac from LoJack and Jim Buczkowski from Ford Motor Company will talk about the next big mobile platform: cars. —And, of course, we’ll have spotlight chats with our keynoters: Wayne Chang from Crashlytics (Twitter) on startups and mobile development, and Jason Jacobs from RunKeeper on mobile health apps and platforms. This event always sells out, but you can still grab a saver-rate ticket here (also see student and startup rates). Looking forward to seeing you all at NERD on 3/19.